There is always a chance of flooding in your home or building whether its caused by heavy rain or something in your home such as a leak or burst pipe. Regardless of how indoor flooding happens, it requires immediate attention. Flood water in a home or building quickly penetrates building materials such as drywall, flooring, wood, and others which results in widespread damage and possibly mold growth. ServiceMaster Disaster Restoration and Recovery provides flood damage cleanup services in San Francisco, CA and the surrounding towns in the Bay Area. We can remove standing flood water with our advanced equipment and make sure the affected areas are cleaned up and repaired. 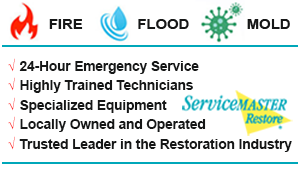 The technicians of ServiceMaster DRR have 35 years of experience dealing with flooding in residential and commercial buildings. We use state-of-the-art water extraction equipment to completely remove standing flood water. We will also thoroughly dry the affected surfaces and furnishings with our advanced drying equipment which includes dehumidifiers, hydroxyl technology, floor mat systems, and air movers. If the flooding affects your carpet, furniture, or personal items, we provide carpet and upholstery cleaning, as well as content cleaning and pack-out services to restore these items. Avoid using electrical appliances while standing on wet floor. Make sure the electricity is off before walking into a room with standing water. Do not try to remove permanent carpeting because doing so improperly can lead to shrinkage. Call us right away for flood damage cleanup because the water can spread damage quickly. If the flooding in your home contains sewage or was caused by a sewage backup, this makes the situation more dangerous. Sewage often contains contaminants such as bacteria, viruses, E-Coli, and hepatitis that can have drastic health effects. Our technicians are licensed and insured to remove sewage water safely and restore the affected area. We will thoroughly clean and disinfect the areas contaminated by sewage to eliminate the risk of adverse health effects for you, your family, and your employees and customers. If you have standing flood water in your home or office in San Francisco, CA, make sure you call ServiceMaster DRR immediately for flood damage cleanup services. We will quickly remove the water to limit the damage as well as cleanup and restore the affected areas. 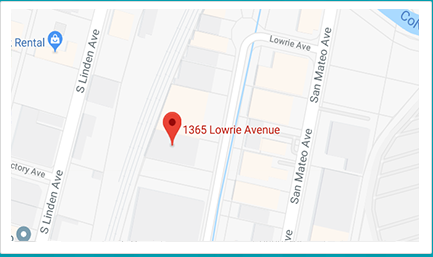 You can call us 24 hours a day at (800) 439-8833 for emergency flood damage cleanup in San Francisco, CA and the surrounding towns of the Bay Area.